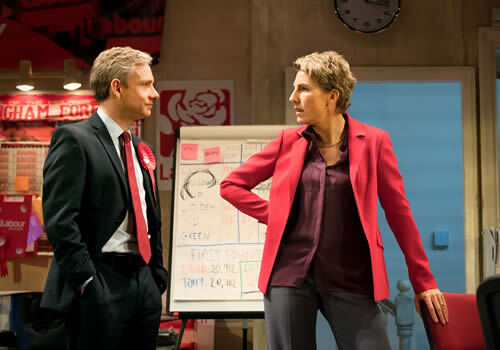 Headlong and the Michael Grandage Company join forces to present a world premiere of James Graham’s latest political comedy Labour of Love, starring Martin Freeman and Tamsin. Playing a strictly limited season at the Noel Coward Theatre, the razor-sharp play takes place at a time when class and culture are irrevocably divided. 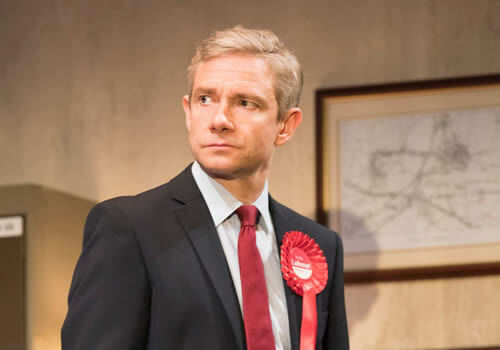 Best known for his screen roles in The Hobbit, The Office and Sherlock, Martin Freeman stars as David Lyons, having last appeared in the West End in Jamie Lloyd’s Richard III at the Trafalgar Studios. 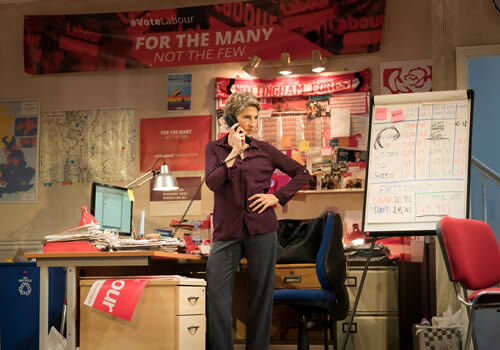 Prolific stage and screen actress Tamsin Greig stars opposite as Jean Whittaker, after recently starring as Malvolia in an adaptation of Twelfth Night at the National's Olivier Theatre. Acclaimed television appearances include Black Books, Green Wing and Episodes. Olivier Award-nominated actress, and daughter of Dame Diana Rigg, Rachel Stirling joins the cast as Elizabeth Lyons. Previous credits include An Ideal Husband at the Vaudeville Theatre and The Priory at the Royal Court Theatre. Additional casting includes Kwong Loke, Dickon Tyrrell and Susan Wokoma. The production reunites James Graham with director Jeremy Herrin, who recently collaborated on the critically acclaimed This House at the Garrick Theatre. Graham’s political plays include The Vote and Privacy, whilst Headlong’s Artistic Director Herrin is well-known for directing last year’s People, Places and Things. Further creative team includes design by Lee Newby, lighting design by Neil Austin and sound design by Paul Arditti. 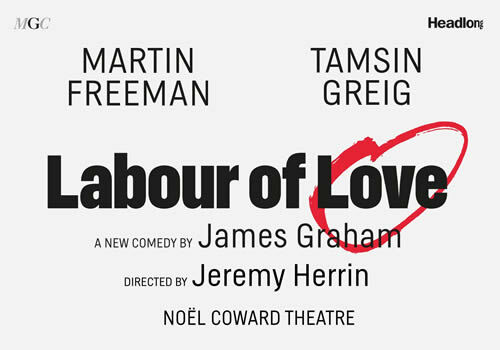 Playing a limited season at the Noel Coward Theatre, Labour of Love runs from September 27th to December 2nd 2017, with an official opening on October 3rd 2017. Labour of Love may not be suitable for young children.